Bring apple juice to a boil then add the fruit and quickly return to a boil. 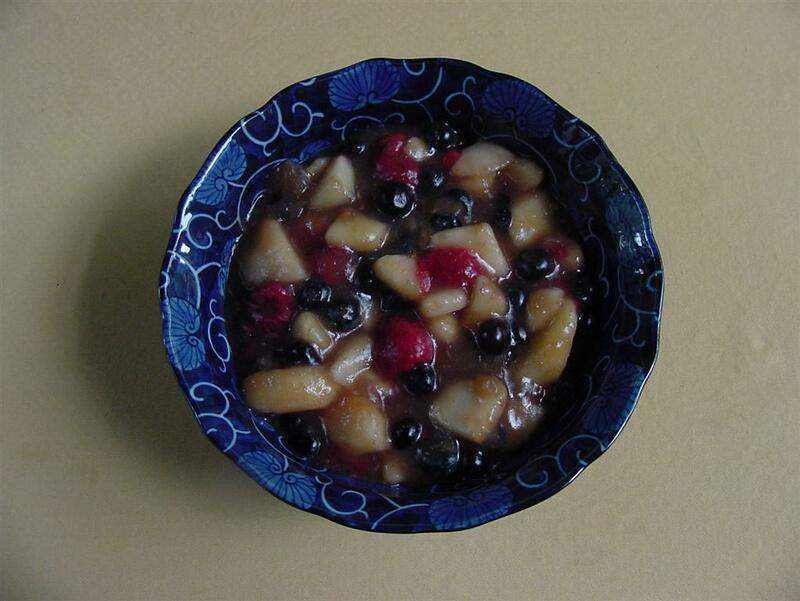 Completely dissolve 1 Tbsp kuzu in 2 Tbsps cold water and add to the fruit while stirring constantly. If the mixture is too thin, dissolve and add more kuzu until desired thickness. If it is too thick, add small amounts of apple juice until you get the right creamy consistency.